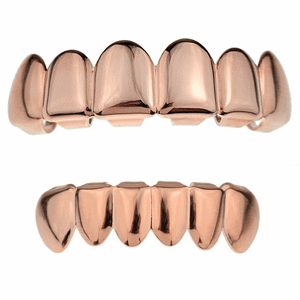 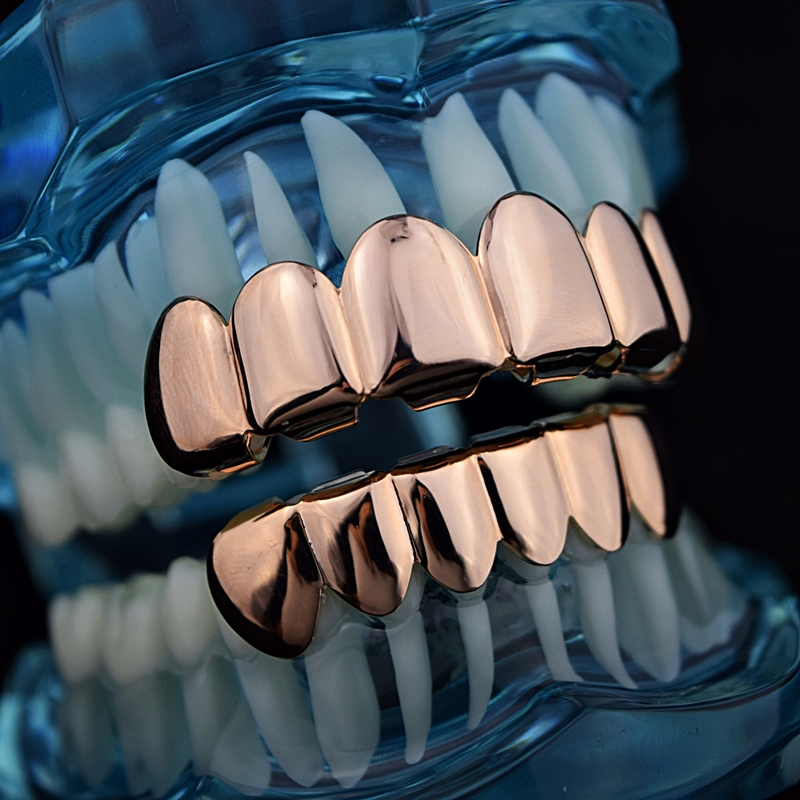 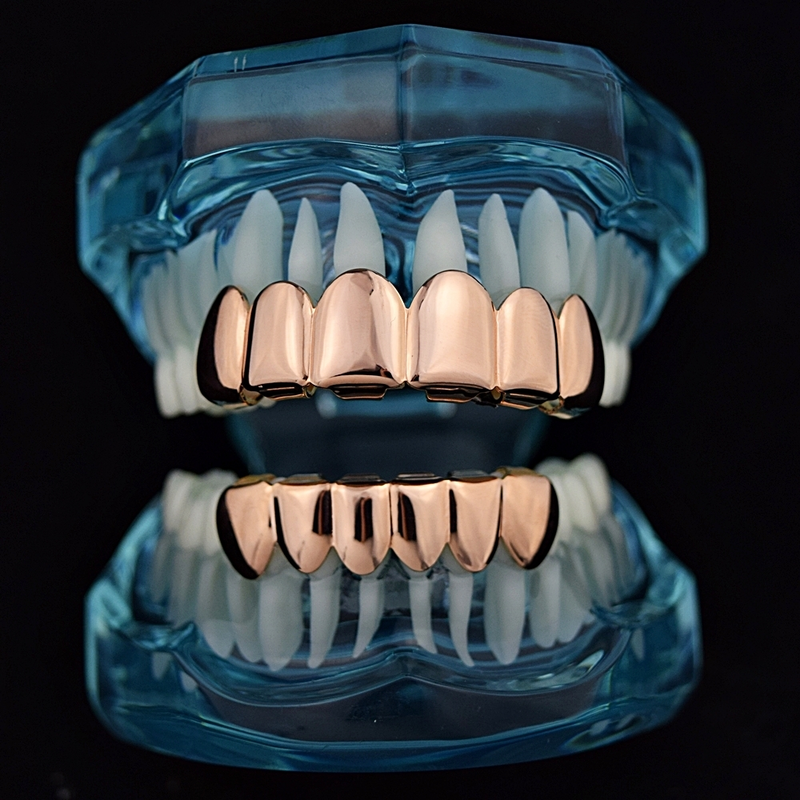 Best Grillz™ rose gold plated grillz set. 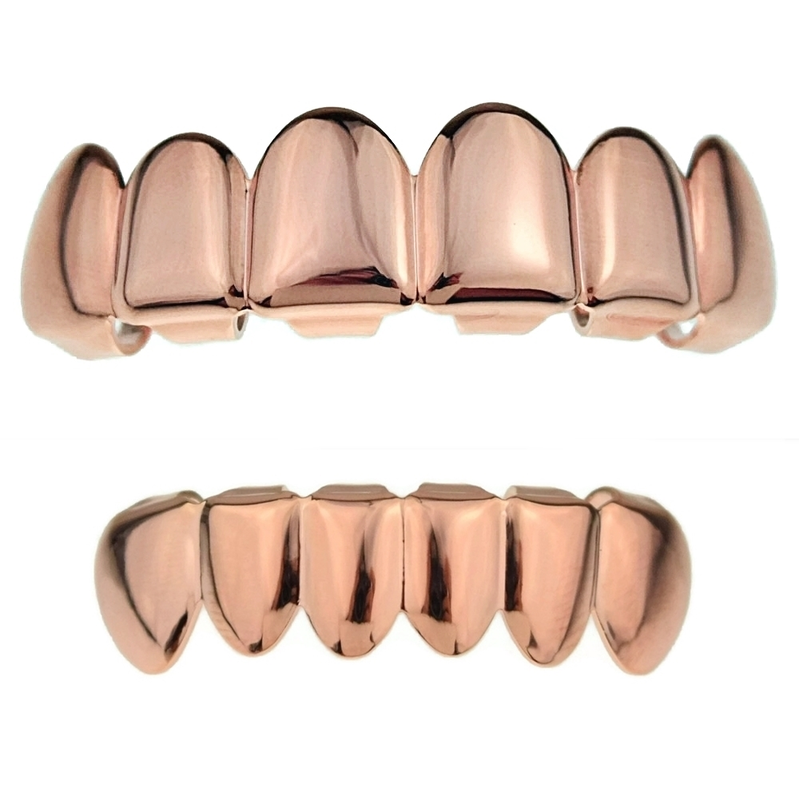 14K rose gold plating over brass metal. 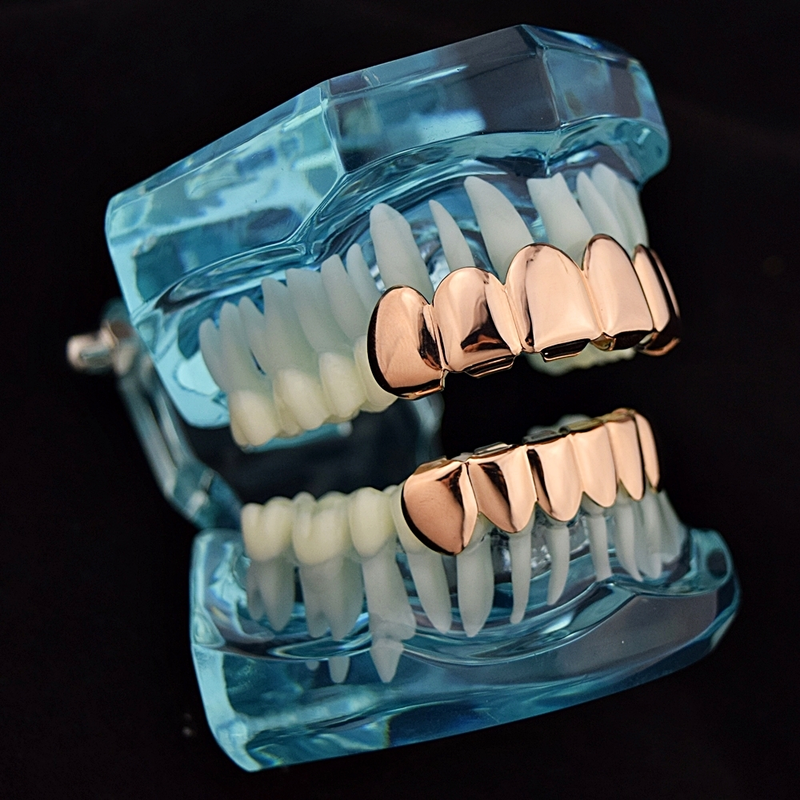 Designed for six upper and lower teeth. 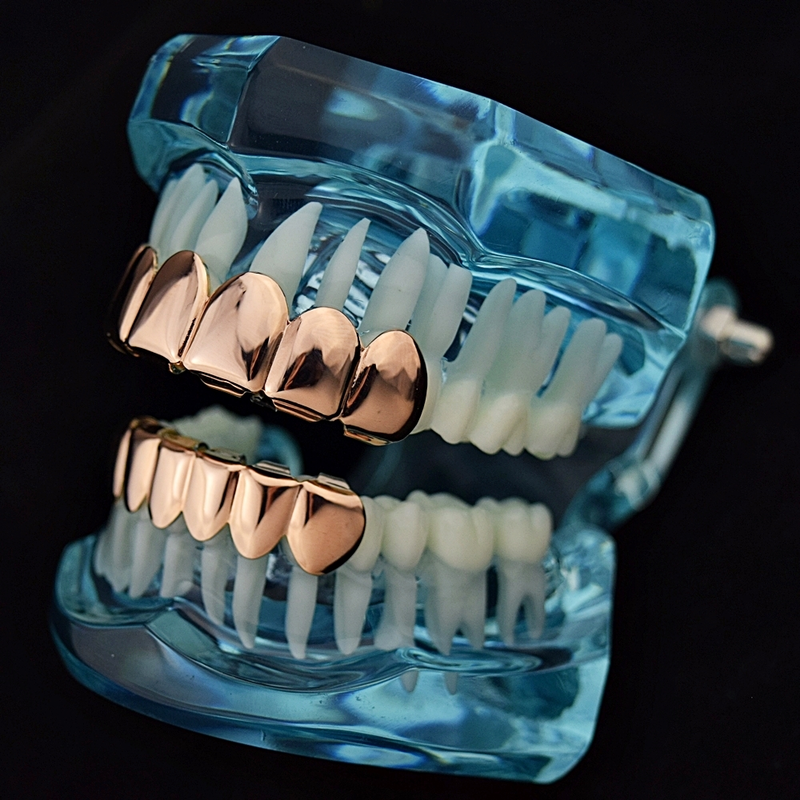 Get your bling on with rose gold grillz set.